#021/022 train, Buy #021/022 train tickets online quickly and easily. Train 21/22 is a fast train operating on Moscow to Prague route 1-3 times a week depending on the season. 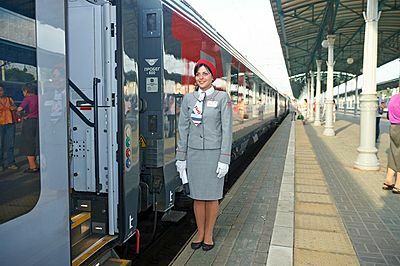 The train is run by Russian Railways and is considered 'firmenny' (branded) train. 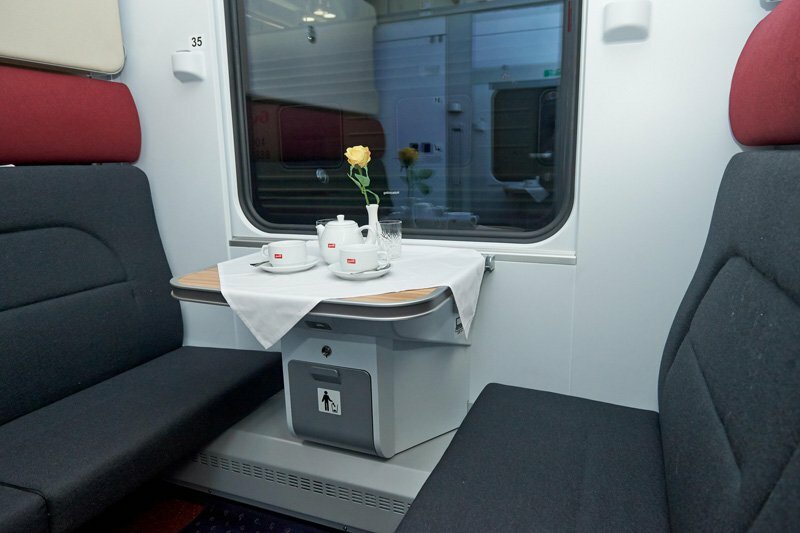 1st and 2nd class cabins are available. 1st class cabin has two lower berths. 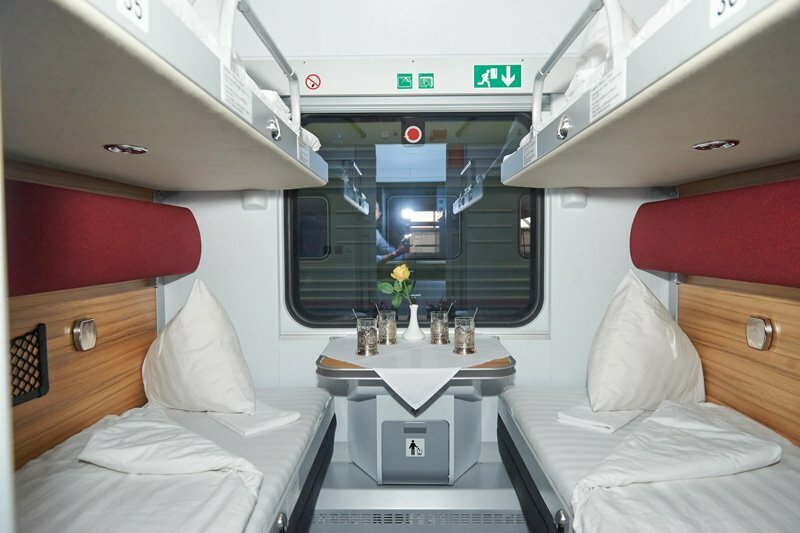 2nd class cabin has 4 berths: two upper and two lower. The train covers 2095 km in 27 hours and and goes through 4 countries: Russia, Belarus, Poland, and Czech Republic.